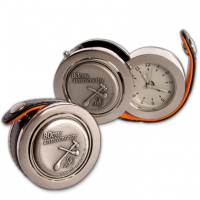 The nickel plated case of this alarm clock is closed by an orange and black strip. 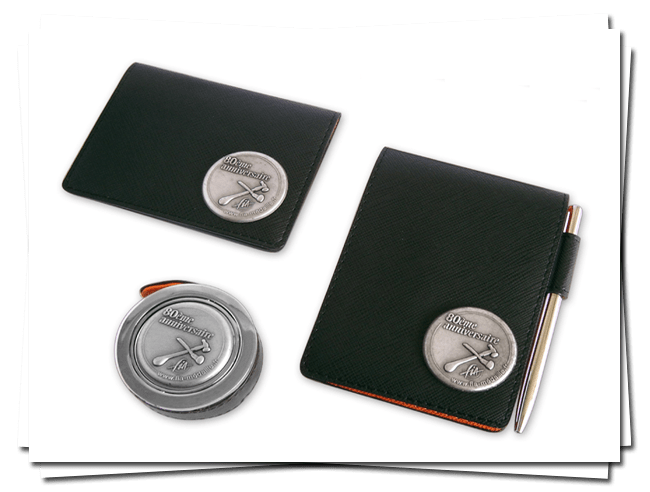 Its alarm function and fluorescent hand make this attractive and modern clock, presented next to a 35mm (1.4″) customized medal, quite convenient. It comes in a blue paper case. 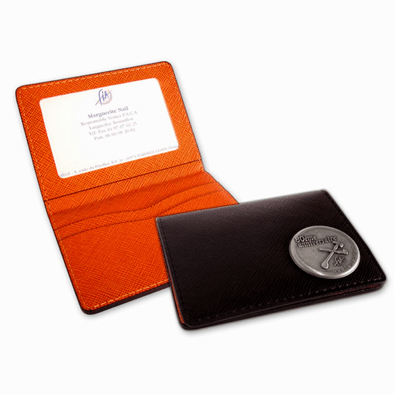 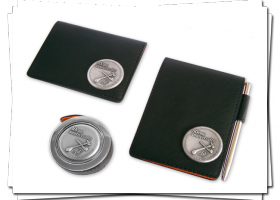 Black exterior, orange interior, a transparent pocket on one side, two pockets on the other side: this PU card case looks nice with your 35mm (1.4″) customized medal. 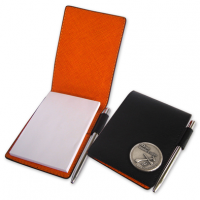 The look of this charming PU notebook, which comes with a pen, is similar to the look of the card case: black exterior and orange interior.